Where are you headed for Memorial Day? Hopefully your plans will include some rejuvenation in the outdoors with friends and family. If you are headed anywhere near Jackson Hole, one of our favorite US destinations for outdoor fun, here are a must-do’s. Wherever you are going, even if its just your own backyard, we’ve got you covered. As it does in many cities across the country, Memorial Day weekend kicks off the summer fun in Jackson Hole. Locals bid adieu to the shoulder season and dive into plenty of outdoorsy fun, while savoring the fact that the tourist crowds haven’t yet arrived. From the first Tram ride of the summer to enjoying Old West Days festivities, including a great beer fest, enjoy the festive atmosphere of the season with these nine great ways to celebrate Memorial Day Weekend in Jackson Hole. 1) Take a ride on the Aerial Tram. 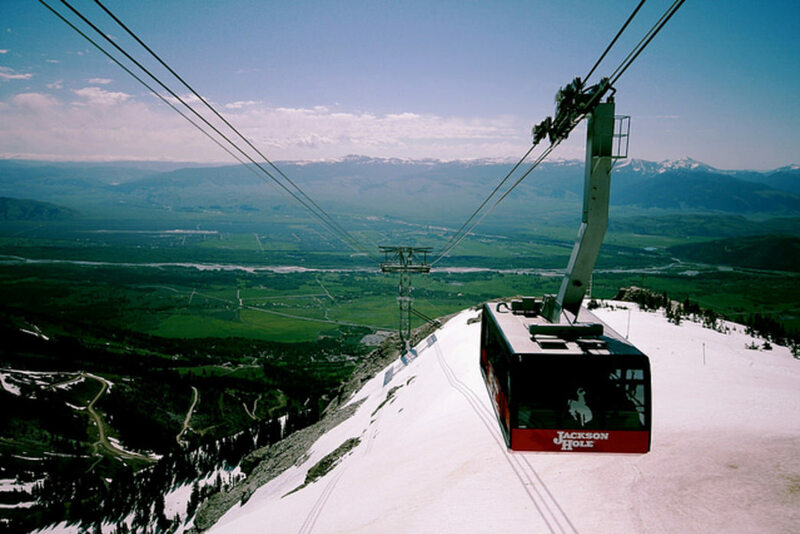 Every spring, the Jackson Hole Aerial Tram , also known as “Old Red”, goes on hiatus for several weeks after it delivers the last resort skier or snowboarder to ride Rendezvous Bowl. Then, each Memorial Day weekend, the Tram spins again, bringing summer sightseers up to the top of the mountain for some terrific views and tasty waffles at Corbet’s Cabin (Nutella and brown sugar butter varieties don’t disappoint). Even in late May, the top of the Tram usually has wintry weather, so be prepared if you plan on going for a wander with appropriate equipment and skills for snowy excursions in the high country. Take a ride up the Jackson Hole Aerial Tram to enjoy a Nutella waffle or just take in the spectacular scenery on top of Rendezvous Mountain. Skiers will also enjoy backcountry turns from up top. 2) Backcountry ski from the tram. Jackson Hole Mountain Resort is closed for the season, but intrepid backcountry adventurers can usually still get some turns in when the Tram opens for Memorial Day weekend. Be sure to go with someone who is familiar with the terrain and take all appropriate backcountry precautions, including checking the avalanche report . Spring snow can be particularly unstable, so have full knowledge, experience, and proper equipment before venturing out in avalanche terrain. 3) Take some turns in Grand Teton National Park. Winter’s not over until the last flake of snow melts, according to many dedicated Jackson skiers and snowboarders. Even in late spring, Jacksonites are still looking to get their turns in. Experienced skiers and mountaineers often like to try their hand at Mount Moran’s Skillet Glacier this time of year. Be sure to have appropriate skills, knowledge, and equipment for this challenging adventure. It’s a favorite for advanced mountaineers and skiers who don’t mind a large dose of exposure. Grab your bike and some buddies for a cruise along the Pathways. Put some wheels to the pathways and explore the areas around Jackson. 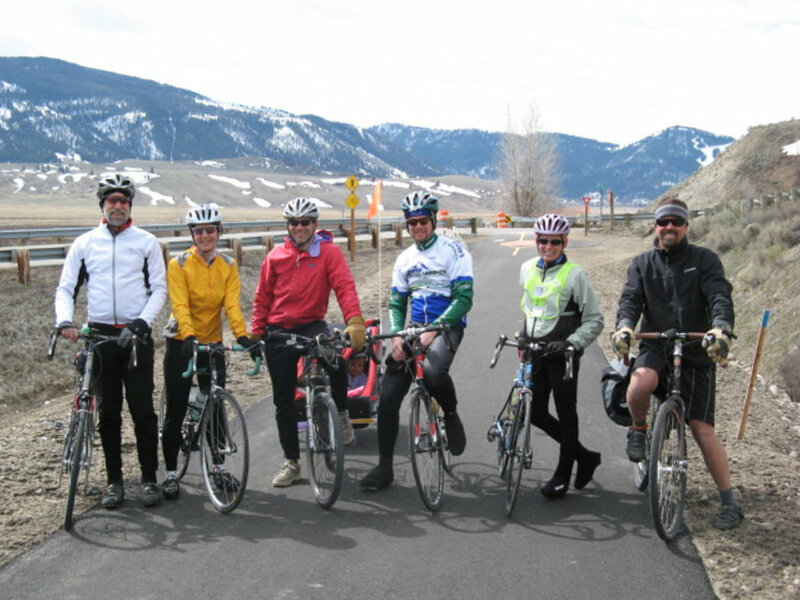 As of May 1, the pathways north of town are open for the season and ready for riders. Head north of town and bike into Grand Teton National Park or head out to Teton Village and grab a bite to eat. 5) Hit the river for some whitewater adventure. Late May brings the start of whitewater rafting season as winter snow melts and turns into raging whitewater. The Snake River offers challenging options, and a number of local outfitters, including Mad River , Barker-Ewing , Dave Hansen , and Sands , offer guided trips and excursions. 6) Soar through the skies. Have a high-flying adventure with a tandem paragliding experience. If you usually spend your time climbing, skiing, and hiking mountains, why not make Memorial Day especially memorable by adding one more adventure to your mountain bucket list? 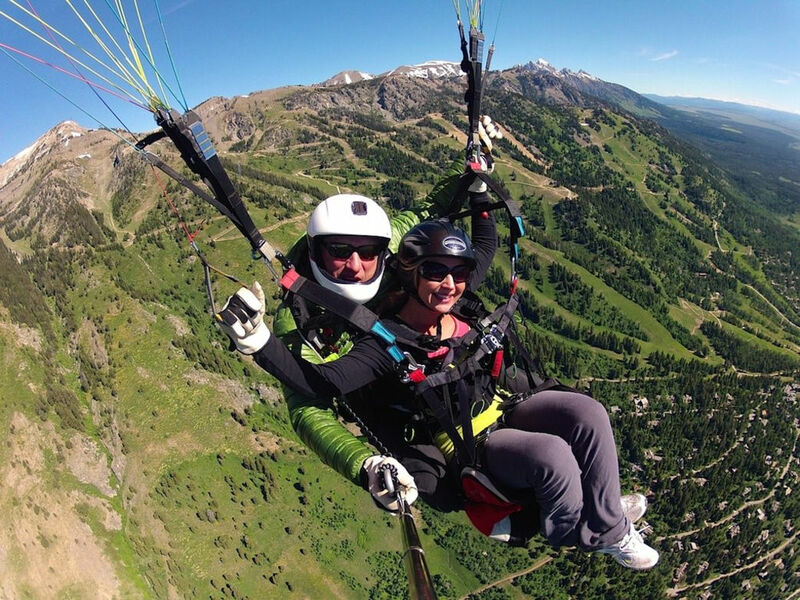 Take a tandem jump with Jackson Hole Paragliding for a high-flying adventure far above the valley. Paragliding flights take off from Teton Village, typically from the top of the Jackson Hole Aerial Tram or the Bridger Gondola, depending on weather. If you don’t mind a little mud on your feet, spring hiking should whet your appetite for a summer full of adventure. Head up to Grand Teton National Park and try out a few of the lowland lakeshore trails from the Jenny Lake Trailhead , or stay closer to town and take a wander up Cache Creek for a hefty dose of spring fun and even a few wildflowers. Head out to the parade and enjoy some small-town fun. 8) Join the hootenanny at Old West Days. 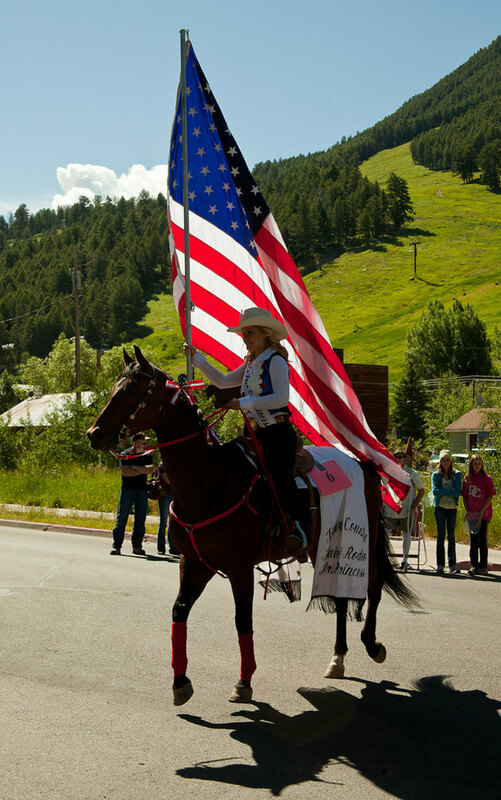 Old West Days is classic small-town celebration that features a Mountain Man Rendezvous, beer fest, parade, rodeo, and more. The celebration begins on Friday, May 22 and runs through Monday, May 25. 9) Toss back some beers at the Old West Brew Fest. What could be better than a four-day festival to kick off summer? One that includes its own beer fest, of course. Stop by the Town Square from 11 am to 5 pm on Saturday, May 23 to enjoy the Old West Brew Fest , which offers up tastings from regional breweries. Most samples are $1, but $10 and $20 multi-sample packages are available. Enjoy some of the best brews in the West while planning a summer full of adventures with your friends. Insect Shield® offers and clothing and gear for men, women, kids and pets with built-in insect protection. Our EPA-registered technology is tested and proven to repel a variety of bugs including mosquitoes and ticks that can carry dangerous illnesses such as Lyme disease, malaria, Zika virus and more. Learn more here. Written by Kristen Pope for RootsRated.